We first started using precision farming techniques in 2002.Our first step was to have the farm GPS soil sampled. As we have varying soil types on our farm, often varying greatly within a single field, we found that the PH, Phosphate and Potash indices also varied a great deal within our fields. This meant that as we had previously been applying a flat rate of nutrients, some areas had been receiving more than was required and other areas not enough. Areas not receiving enough nutrients were obviously not reaching there full yield potential, where as money was being wasted on areas that were receiving too great an application of nutrients. We can arrange everything from soil sampling right through to the application of the fertiliser. The next step we took was to purchase a crop sprayer fitted with auto section control. 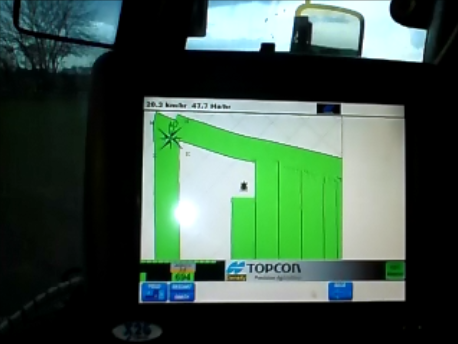 This system uses a computer in the cab, together with a GPS signal to control when the sprayer nozzles are turned on or off. As soon as the spray nozzles reach an area that has already been sprayed, it turns them off. This not only saves chemical and fertiliser, but also reduces the amount of crop damage due to overdosing of chemical and fertiliser. We are saving ourselves and our customers around 4% on chemical and fertiliser due to less overlaps! 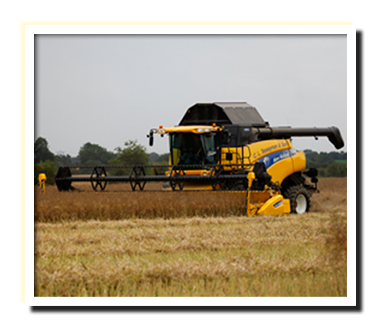 The latest step that we have taken into precision farming is to have yield mapping on the combine harvester. 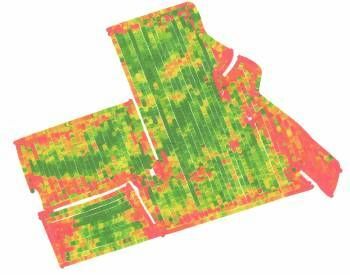 This allow us to see which areas could be improved upon, see if there is a link to nutrient deficiency on the soil maps and also whether some areas would be better taken out of production altogether and put into an environmental scheme! Our latest drill, the Claydon, is equipped to sow variable seed rates. Our aim in the near future is to be able to use our yield maps, soil maps and general knowledge of the fields to vary our seed rates. This will enable us to raise the seed rate automatically on areas such as knotty hilltops that are prone to poor emergence and slug damage and raise the yield in these poorer areas.